Legendary Lakes on the Rebound ! 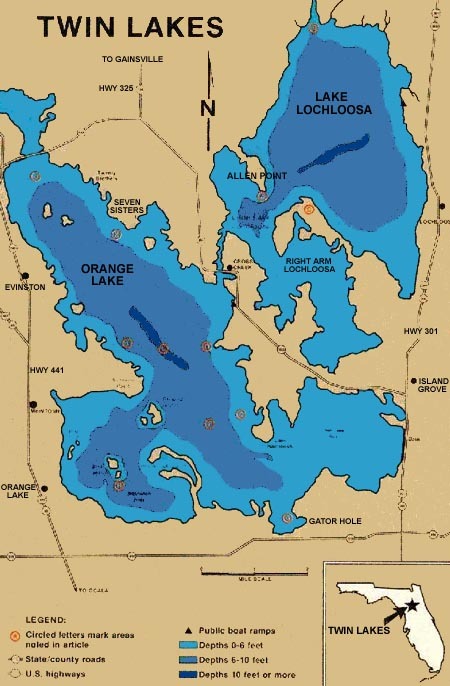 Located in Northwest Marion and Southeast Alachua counties in North Central Florida, Orange Lake (13,000 acres) and Lochloosa Lake (6000 acres) connected together by the famous Cross Creek (of literary legend) were in the 70's and 80's, as popular a trophy bass fishing destination as there was. The heavily vegetated and darkly stained waters were famous for producing trophy largemouth bass in large quantities. In the early 1990's this unfortunately changed however. Low water levels on Orange Lake due in great part to a large sink hole and a fish kill on Lochloosa Lake essentially wiped out these amazing trophy bass fisheries seemingly overnight. In recent years however sufficient rain fall coupled with some restoration efforts and decreased fishing pressure has led to what seems to be nothing short of a fish population explosion! While water levels still can fluctuate greatly on Orange Lake, the lakes are alive and teeming with bait fish and bass. For the first time in recent memory the lakes are producing many trophy size fish in the 10-13 lb. range on a consistent basis. This is perhaps some of this area's best artificial lure fishing locations. Afternoon trips here were consistently producing 15-30 fish for us in the spring and summer in just a few hours. Soft plastics like Speed Worms, Swim Senkos, Flukes, and Horny Toads were the bait of choice. Live bait is also a very effective means of taking her larger fish. I believe the fishing will continue to improve here due to the relatively strict slot limits and I am going to be very excited to see how these lakes will produce this fall and winter. So give us a call today and lets take a step back in time on some of Florida's most storied fisheries! (Note: Low water conditions are currently making Orange Lake fishing tough. Lochloosa is still in good shape). Other great fishing destinations in the region are: Sante Fe, Newnans, and Little Orange Lakes. 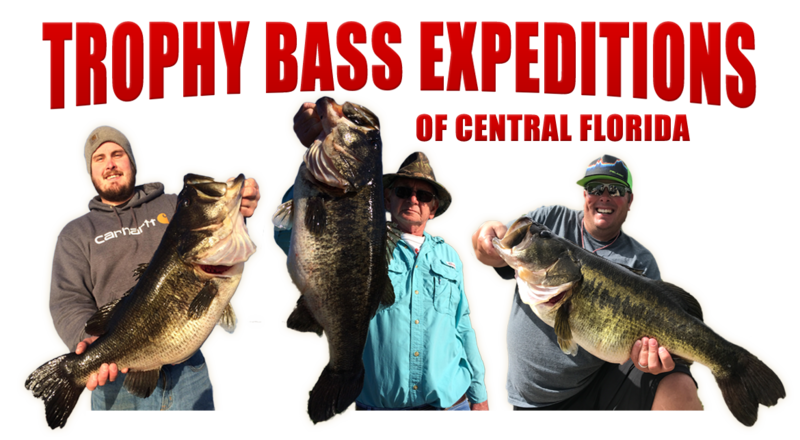 We are a full time Gainesville Bass Fishing Guide Service and fishing charter service. We have been guiding and fishing on Gainesville area lakes such as Orange, Lochloosa, and Little Orange Lake for over 25 years.